Each day will consist of alternating sessions of meditation and qigong. 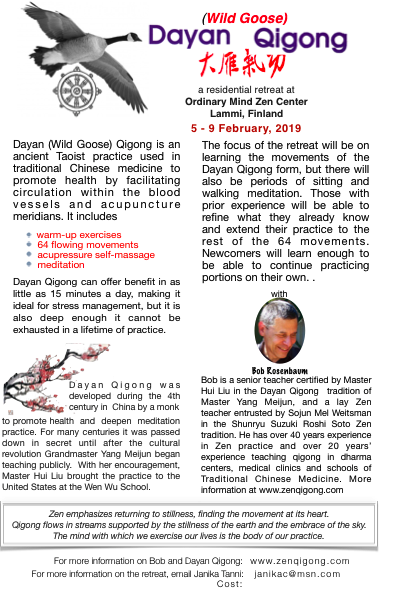 The emphasis will be on learning and practicing the 64 movements of the Dayan Qigong form, but there will also be meditation, dharma talks and discussion. 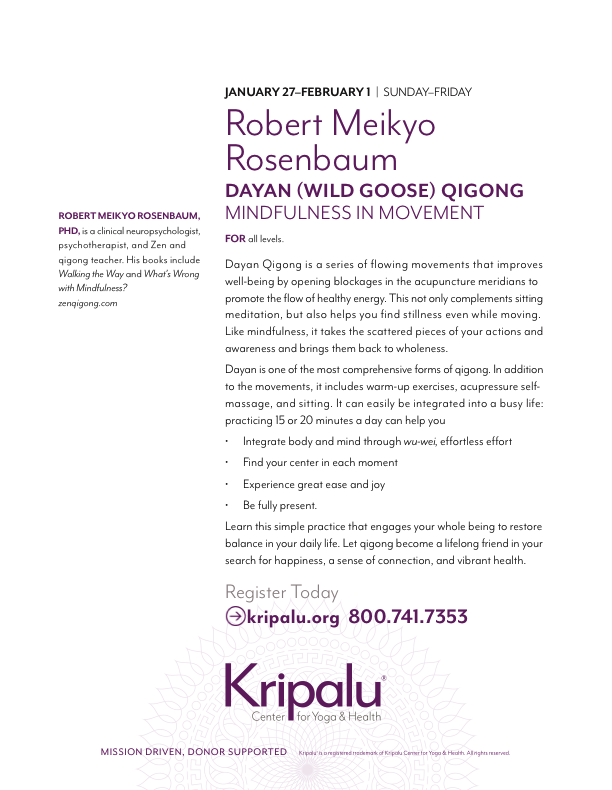 The multi-day retreats are appropriate for both beginners - by the end of the retreat you will have learned enough qigong to be able to continue on your own - and for experienced students who wish to deepen their practice.